Last week I went shopping for a new dress to wear to Bennett's birthday party and I noticed this cute little number. It wasn't the style I was looking for to wear to the party but I thought it was really fun so I tried it on and decided I needed it. 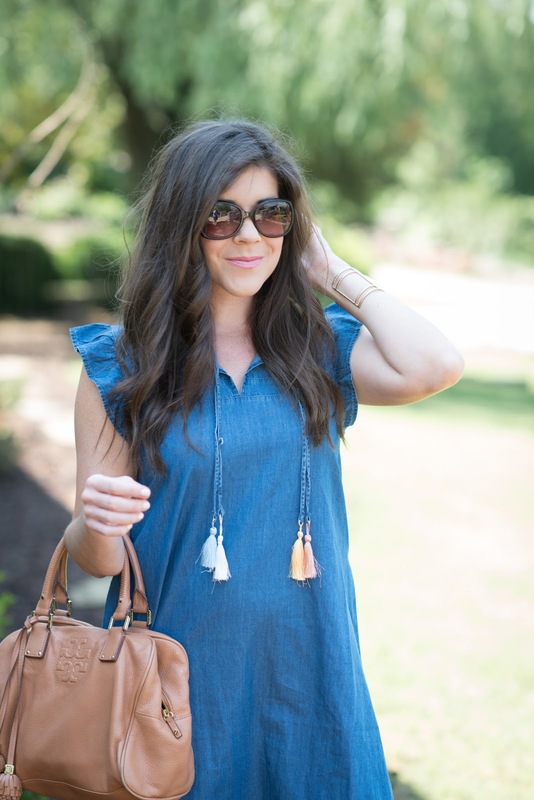 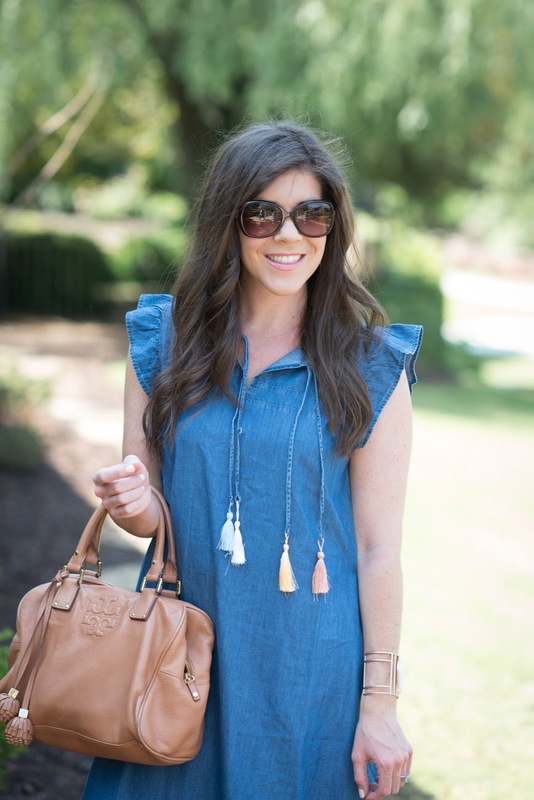 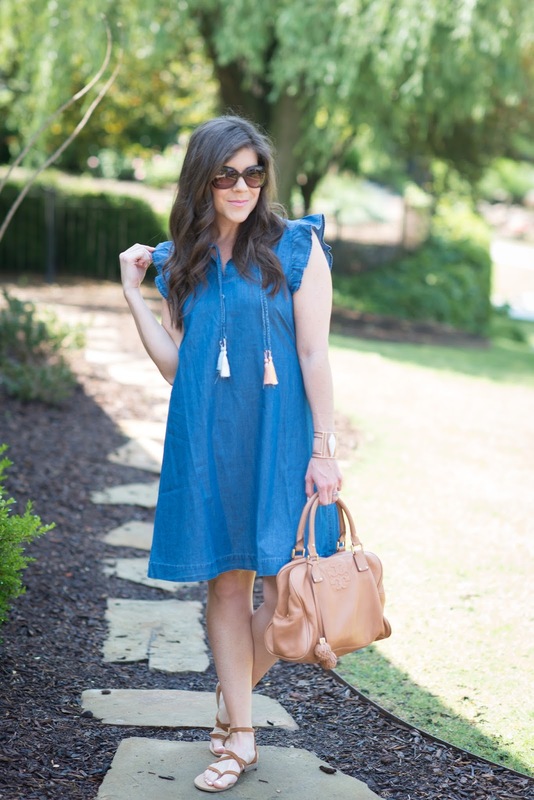 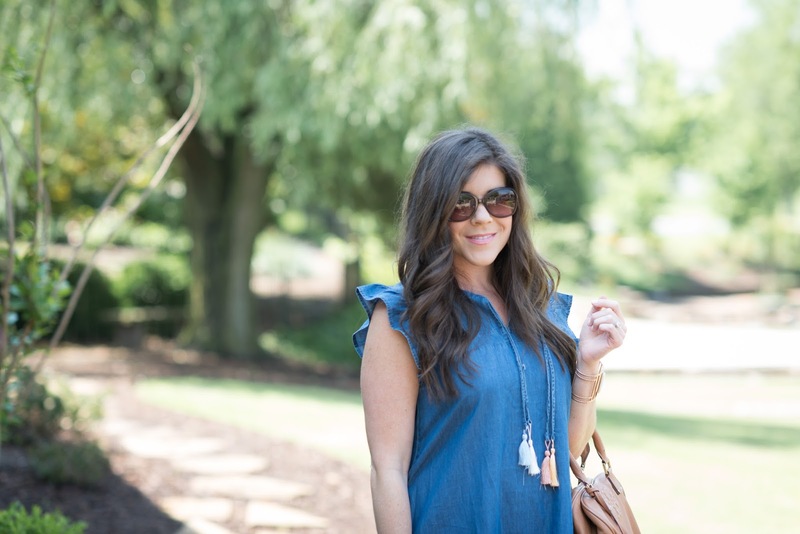 I love chambray in the summer and the little tassels and fluttery cap sleeves give this simply chambray dress a charming little twist. 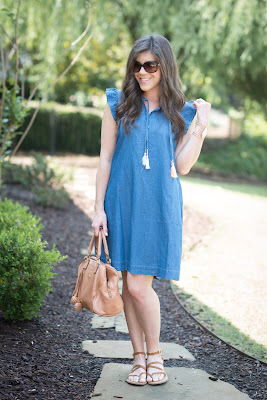 I paired the dress with the cutest sandals that are quickly becoming my go-to's for summer. I got them at Target for less than $25 (!!) 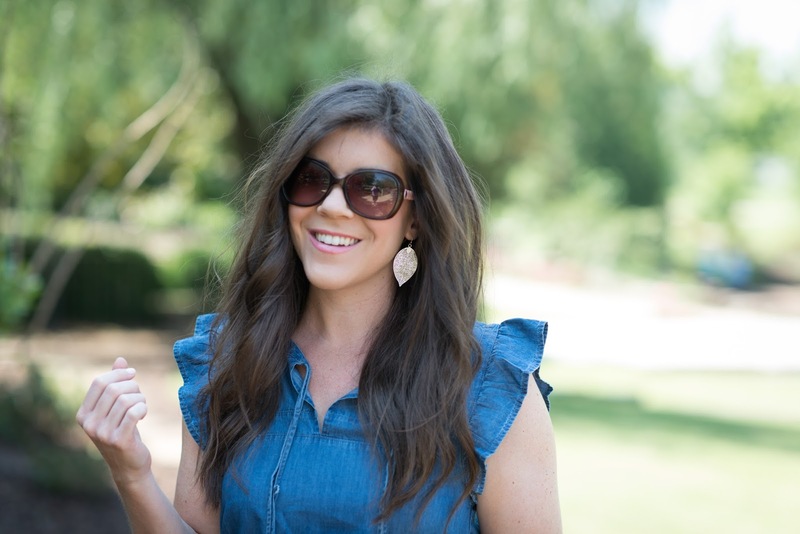 and I am in love with them. They are the perfect shade of brown and I feel like they go with everything!